Electric car chargers in Stafford from Orbis Engineering will help you save money on motoring as well as helping the environment. As an accredited company of the OLEV Grant (Office of Low Emission Vehicles), we have access to the electric vehicle home charging funding schemes – meaning we can claim up 75% of the installation cost back for eligible customers. A recent report from the International Council for Clean Transportation has revealed that electric cars are cheaper to run across a four year period than their petrol and diesel counterparts. The study examined the purchase, fuel and tax costs of electric, petrol and diesel versions of a VW model, in five European countries including the UK. In 2018 the sales of electric cars in the UK rose by 21%, giving them a market share of 6% – a statistic that is only projected to rise in the coming years as climate change and environmentally beneficial schemes become a priority for Governments right across the world. Renowned car manufacturer Peugeot has also just announced a 100 per cent electric, zero-emission model set to be released later this year. This is the French company’s first venture into the electric world, with a whole range expected by 2023. Orbis Engineering offers specific solutions to homeowners and the public sectors for EV charging stations, which will be designed to adapt to all types of models. We are also an NICEIC approved electrical installer, the leading voluntary regulatory body for the electrical contracting industry. 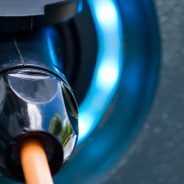 If you’d like to know more about our range of electric car chargers in Stafford and the surrounding areas, please get in touch today with our highly skilled team who can answer any questions you may have. With over 15 years’ experience in electrical contracting, we also offer installation, maintenance and repair and testing services in the domestic and commercial sectors. 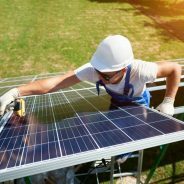 Electrical installation in Wolverhampton for solar panels, is fast becoming one of the most popular forms of renewable energy for households and businesses to invest in. Orbis Engineering are the leading installers of solar panels in Wolverhampton and the surrounding areas, and if you’re not familiar with their host of benefits we are going to share some below. Solar panels work by converting the sun’s energy into electricity using innovative technology called photovoltaic cells, with the produced electricity passed through an inverter which can be funnelled into the National Grid or used locally. ● The UK is well suited for their use, as they depend on sunlight rather than heat – as us Brits know heatwaves can be quite limited. ● They can be installed anywhere, so no matter where your property is based you can use them and help lower your carbon footprint. ● Once we have installed solar panels on your property, they require little to no maintenance. ● Solar panels are extremely safe as there’s no danger of the cells leaking any sort of gases or pollutants because they are primarily manufactured from silicon. Orbis Engineering is the leading company for electrical installation in Wolverhampton. We offer valuable insights into solar panels, as well as external power supplies and the increasingly popular electric car charging stations for domestic and commercial use. Every member of our team carry CSCS cards as standard and we are also a NICEIC and CHAS accredited company; making sure our procedures meet the highest standards of health and safety. To receive a no obligation quote on solar panel installation or any of our other services; please contact us today.